Wu-Tang Clan producer Mathematics has expressed sympathy for Martin Shkreli, the much-reviled "pharma-bro" who, in 2015, infamously spent $2 million on a one-of-a-kind Wu-Tang Clan record called Once Upon a Time in Shaolin. Mathematics caught up with Exclaim! to discuss the new compilation, Wu-Tang: The Saga Continues, which he produced after being tapped for the task by his mentor/Wu boss, RZA. When specifically asked about its second song, "Lesson Learn'd," featuring verses by Inspectah Deck and Redman, Mathematics felt compelled to clarify its intent. "I've seen how the media runs with things but that, by no means, is a diss track for Martin Shkreli," he says. "I seen them take one line that Deck said — 'My price hiking like the pills Martin Shkreli sell' — and it's just a metaphorical line." "It's something witty — 'Witty Unpredictable,'" he adds, fully pronouncing the first half of the commonly understood Wu-Tang acronym (Witty Unpredictable Talent and Natural Game). When pressed about whether the Wu is actually down with Shkreli, Mathematics contemplates the question carefully. "One thing I will say is that I appreciate that he bought the album. I appreciate that. But, as far as his other movements, nah, c'mon," he chuckles. "But what goes around, comes around and unfortunately, he's in a bad predicament right now." Shkreli was convicted of securities fraud in August, but was living free on $5 million bail. His parole conditions were revoked in September after he wrote a Facebook post offering money to anyone who brought him a lock of Hillary Clinton's hair. He's currently doing a bid in the Brooklyn Metropolitan Detention Center, which is known for its "harsh inmate conditions." "Jail is not a good place for anybody. I think certain people do deserve to be there," Mathematics says, pausing, "and maybe he does, know what I mean?" 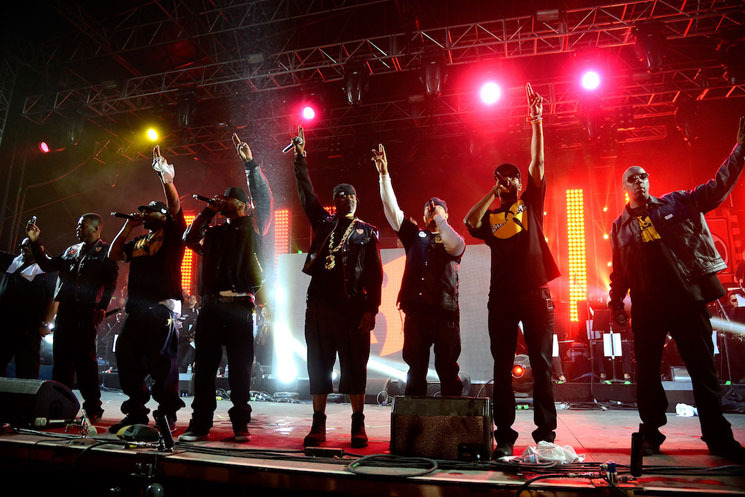 As for Wu-Tang: The Saga Continues, fans have noticed the lack of at least one word: Clan. "It's a Wu-Tang record of course, but by now everybody that got the album know U-God is missing off the album," Mathematics explains, citing the only living Wu-Tang Clan MC absent from the project. "It can't be a complete Wu-Tang Clan album without UG." Fans know there's tense history between certain Wu members; in 2016, U-God sued RZA for $2.5 million, claiming unpaid royalties. That said, Mathematics says that when Wu-Tang Clan performed dates recently, specifically Riot Fest in Chicago last month, U-God was there. "When I was working on it, he wasn't really available," Mathematics says of The Saga Continues. "It was hard with everybody and the scheduling and different things going on. "I'll just leave it at that right there. But y'know, I'd love to have had him on the project, of course." Wu-Tang: The Saga Continues is out now via eOne. Listen to this entire interview with Wu-Tang Clan's Mathematics on Kreative Kontrol here or below.